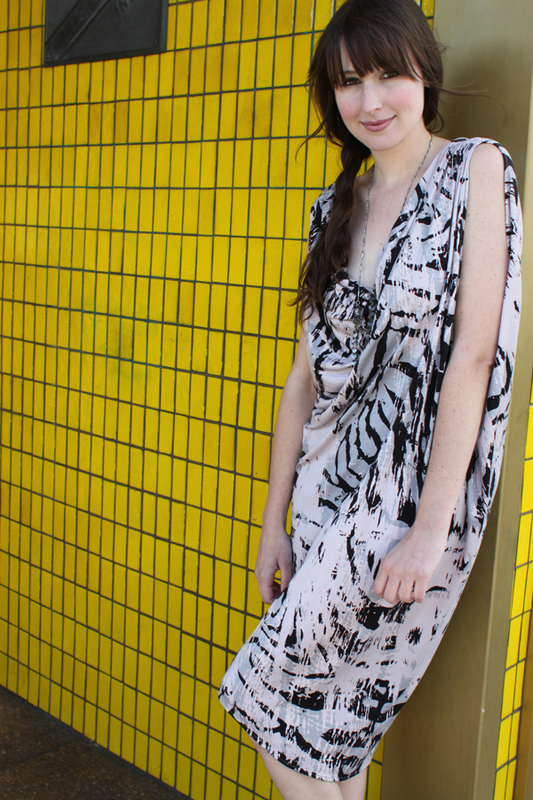 An artfully draped Fluxus dress ($104) in the softest fabric ever. 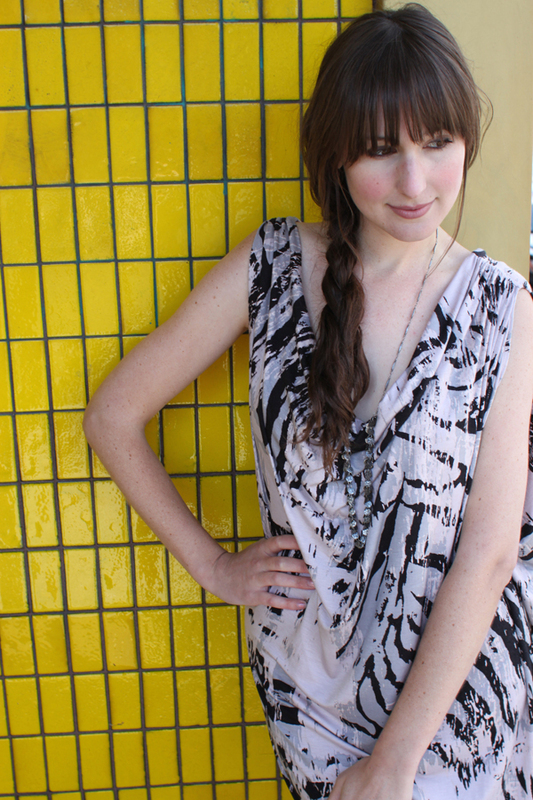 The gorgeous modern print is lovely in shades of black gray and light pink. This would be the perfect standout dress to wear to a wedding! And hey, you can eat all the cake you want in it! The beautiful necklace is by local designer Nancy Caten.